View of the Pitti Palace overlooking the city of Florence, Italy. Today, Florence’s Pitti Palace houses some of the city’s most important museums, but it was for most of its life a private residence. It lies about a kilometer south of the Duomo across the Ponte Vecchio, adjacent to the vast Boboli Gardens, which are also part of the estate. 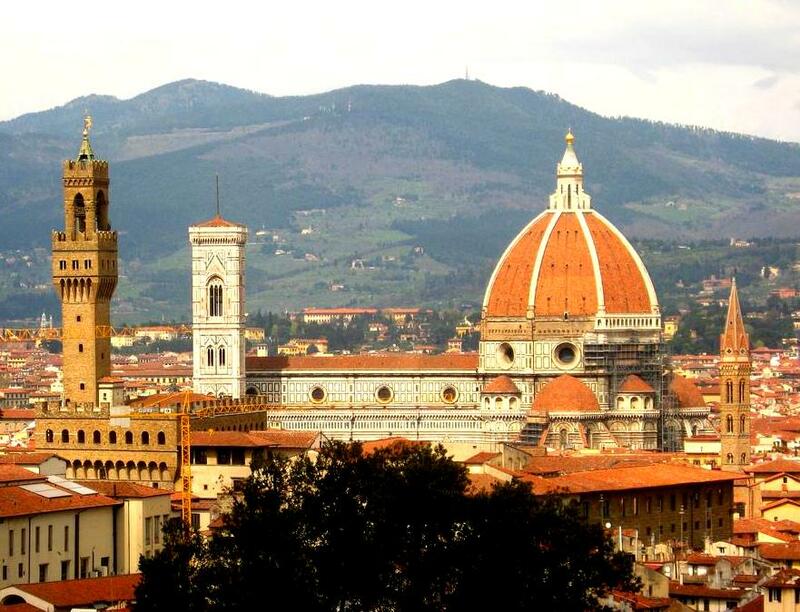 The palace takes its name from the family for whom it was originally built by architect Filippo Brunelleschi, who also designed and built Florence’s famous Duomo. A century later, the property was acquired by the Medici family, and became its primary residence. Pitti Palace with formal garden and skyline view, Florence, Italy. The Medicis remodeled and dramatically expanded the structure, and it rivals many palaces of European royalty in its size and grandeur. The family lived in the palace for nearly 200 years. Pitt Palace with formal garden, Florence, Italy. Today, its first floor is occupied by the Palatine Gallery, a collection of Renaissance and Baroque paintings by artists including Raphael, Titian, and Rubens. It also houses the Royal Apartments. The Silver Museum, located on its ground floor and mezzanine, contains a staggering collection of Medici household treasures. The Gallery of Modern Art occupies the top floor, and houses a collection of Tuscan 19th and 20th century paintings. The Palazzina of the Meridiana is home to the Costume Gallery, a showcase of the fashion spanning 300 years. It is the only museum of fashion history in Italy and one of the most important in the world. 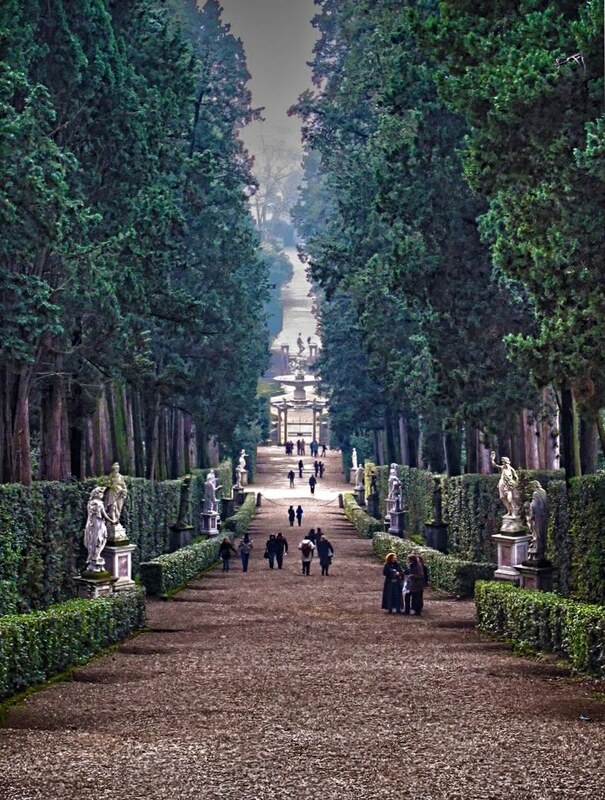 The Grand Boulevard entrance to the Boboli Gardens, Florence, Italy. 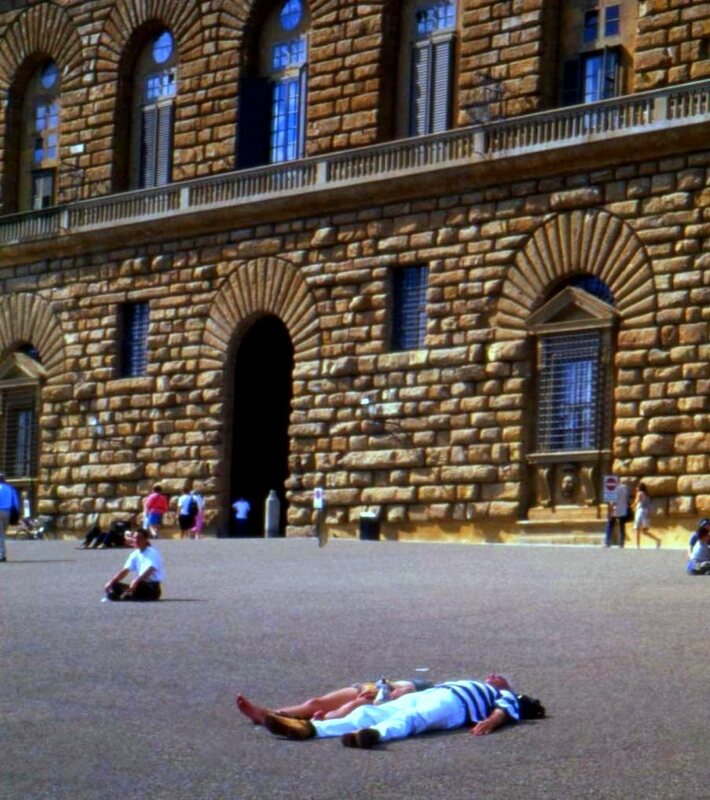 The Pitti Palace overlooks the city of Florence, and the vistas of the city are spectacular. 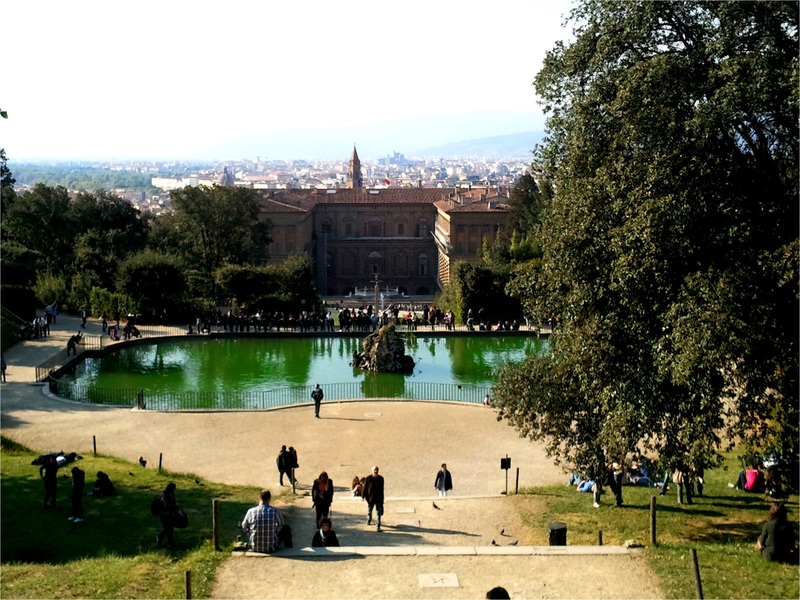 Behind the Pitti Palace are the Boboli Gardens, which are among the first and most familiar of the 16th-century formal Italian gardens. 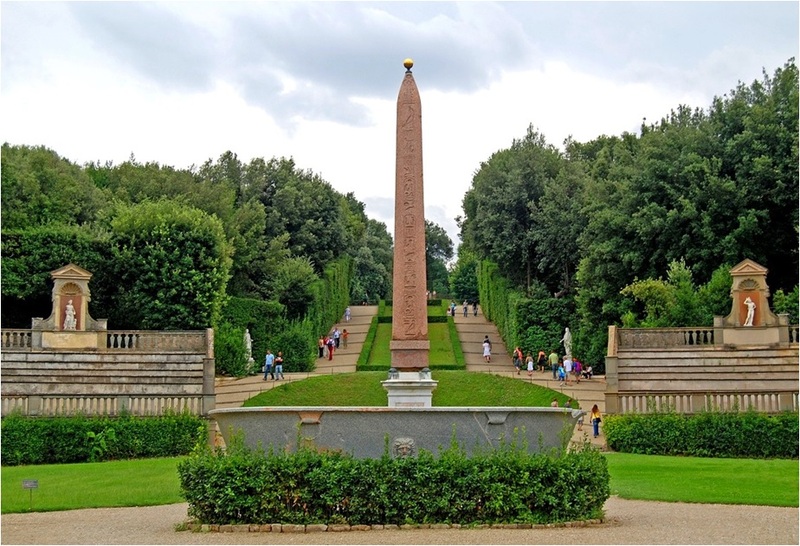 Ramses Ii obelisk, Boboli Gardens. Florence, Italy. 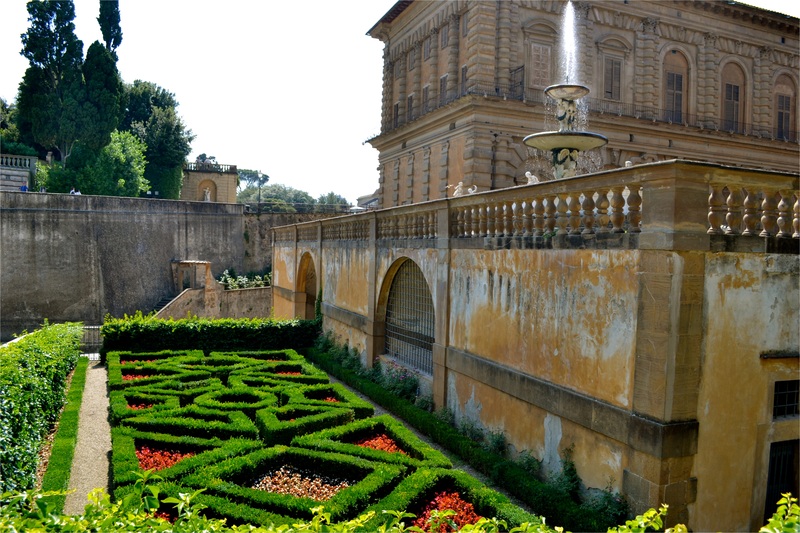 The Medicis also initiated work on the adjacent Boboli Gardens at about the same time that they expanded the palace. The garden’s open design was unconventional for its time. 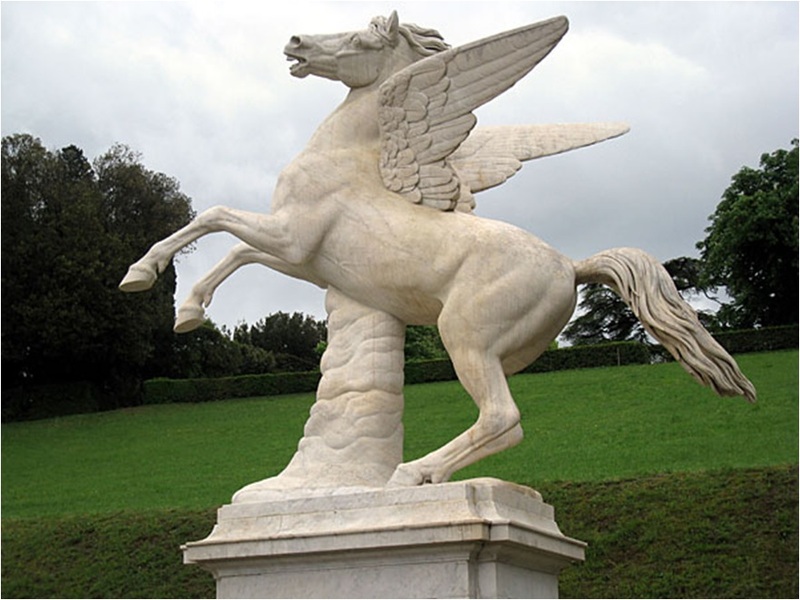 Pegasus, Boboli Gardens, Florence, Italy. It is an outdoor museum of garden sculpture that includes Roman antiquities as well as 16th and 17th century works. 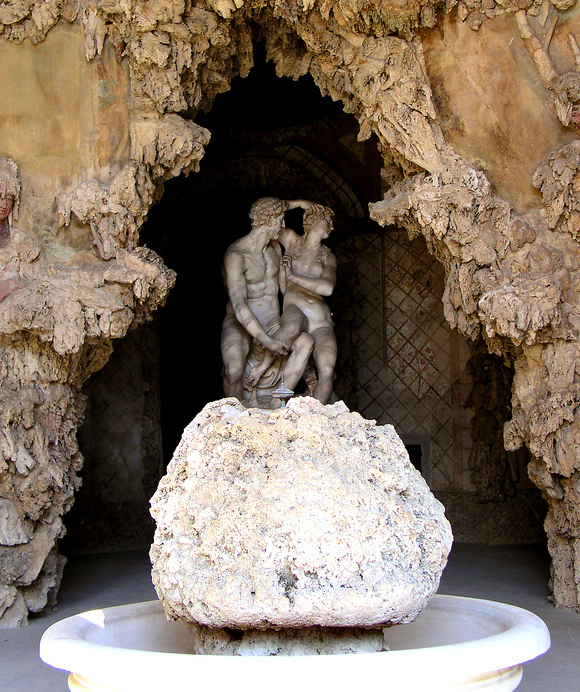 Grotto with statue of Paris and Helen of Troy, Boboli Gardens, Florence, Italy. It contains expansive promenades, sculpture galleries, fountains, and intimate grottos decorated by statuary and frescoes. Here there’s a space to suit almost any mood, and the sense of tranquility transcends even the hordes of tourists who seem insignificant in its expanse. 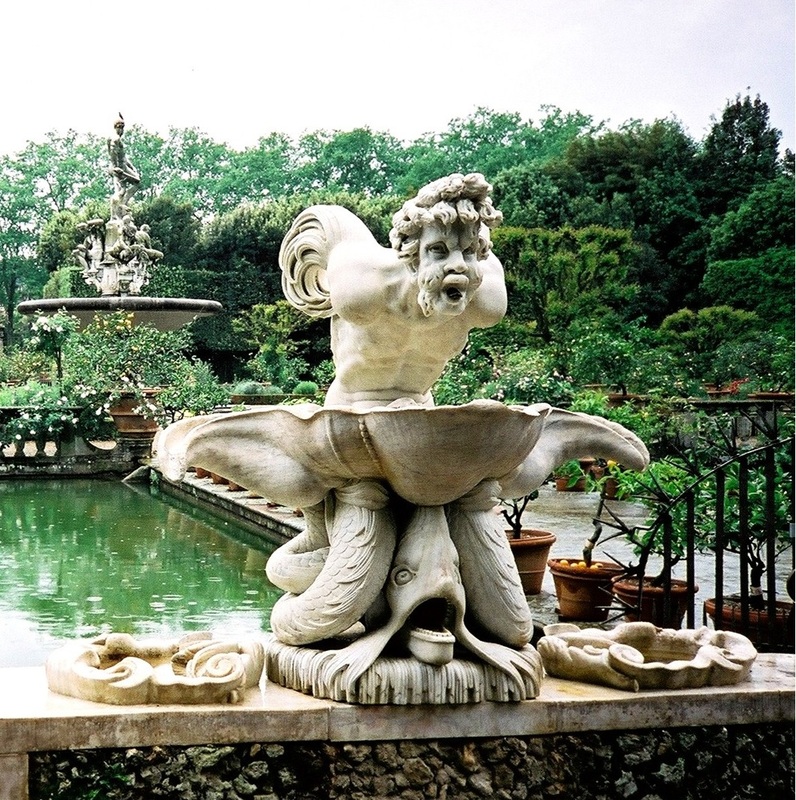 Triton Fountain, Boboli Gardens, Florence, Italy. 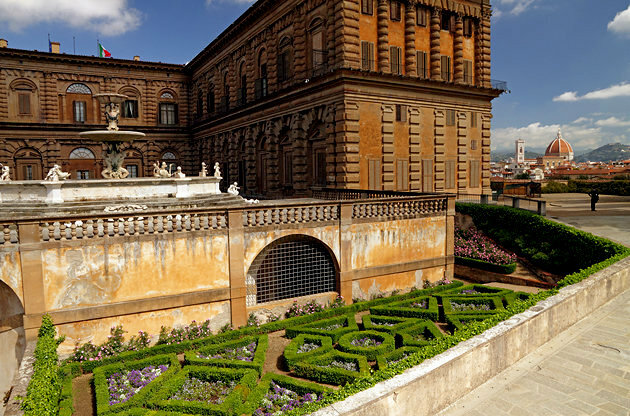 During the Medici residence, no one other than members of the immediate family were allowed access to the gardens, and no entertainment or parties were ever staged there. The garden lacks a natural water source, and its elaborate irrigation system is fed by a conduit from the nearby Arno River. 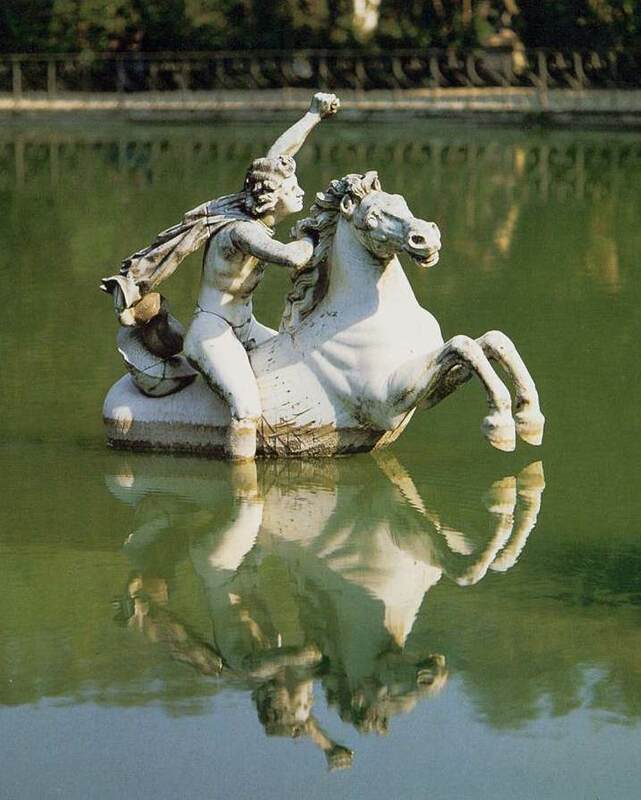 Perseus On Horseback, Boboli Gardens, Florence, Italy. On the Garden’s upper slopes, the Palazzina del Cavaliere pavilion houses the Porcelain Museum. The gardens have been enlarged and restructured several times, and currently occupy 111 acres (45,000 square meters). 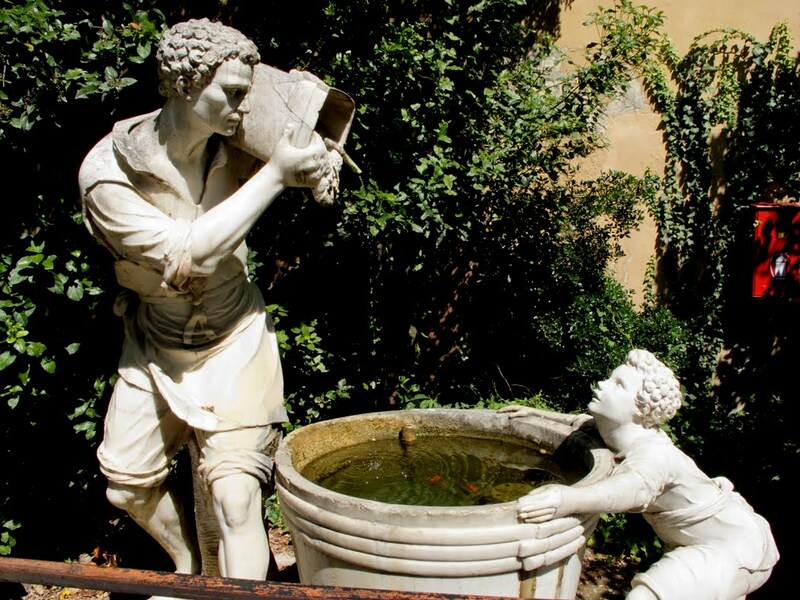 Clear water fountain, Boboli Gardens, FLorence, Italy. Catherine de Medici was born here, and when she became queen of France commissioned work on Paris’s Luxembourg Garden, which is inspired by the design of the Boboli Gardens. The Palace and Gardens are a fitting end to a tour of Florence. Tomorrow it’s on to Parma. 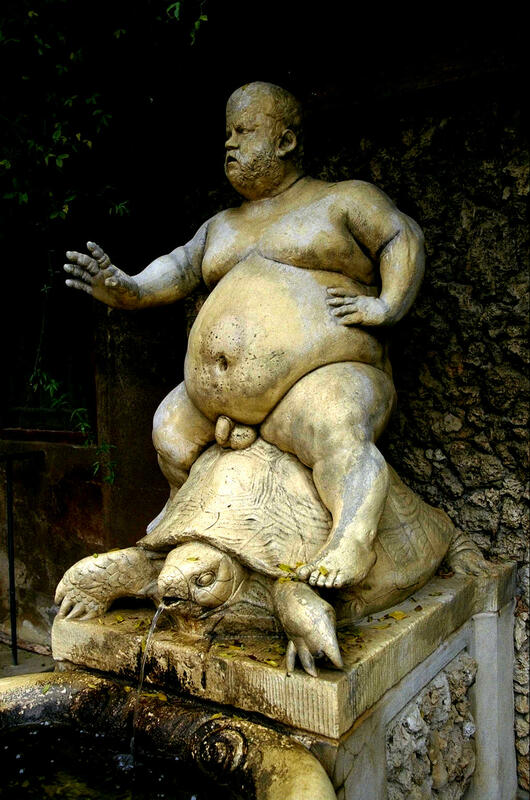 Dwarf Bacchus statue, Boboli Gardens, Florence, Italy.